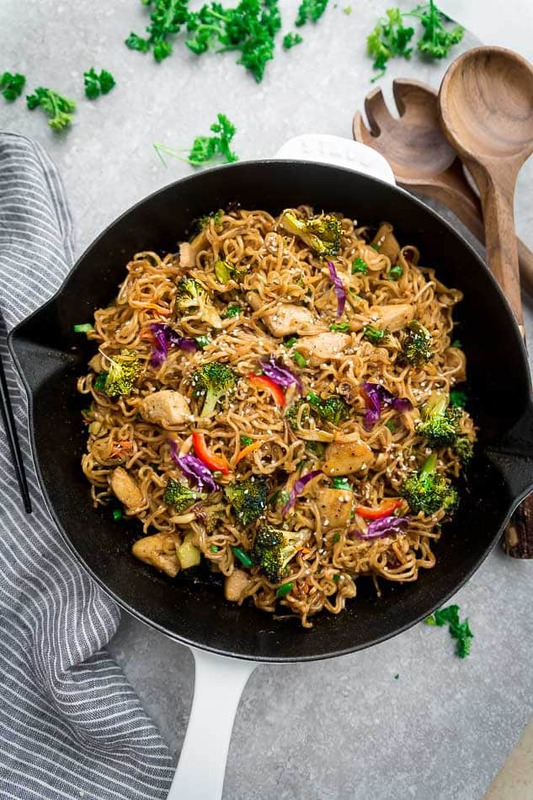 This easy Chow Mein recipe comes together in less than 30 minutes in one pan. 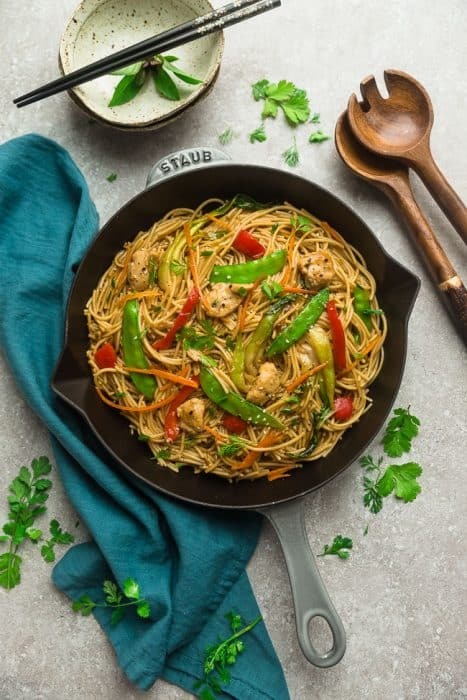 This authentic Chinese restaurant quality noodle dish is made with tender chicken, stir-fried vegetables and is so much better than takeout! 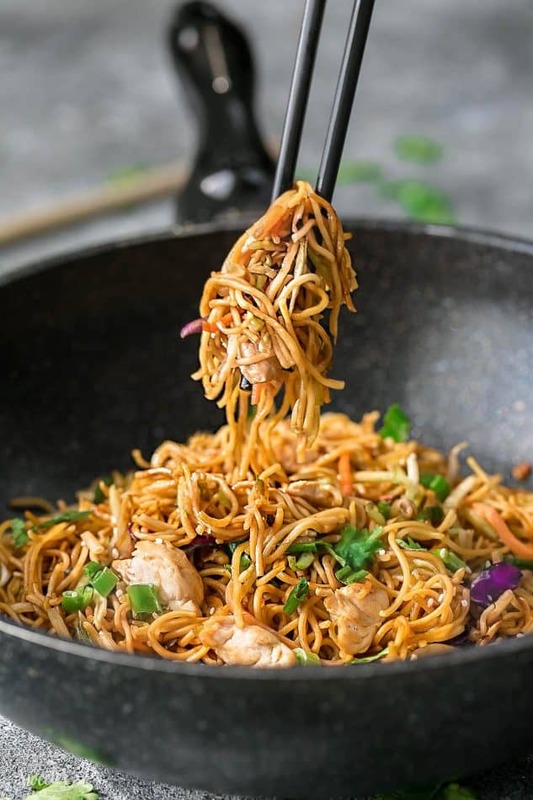 When it comes to childhood comfort food favorites, Chicken Chow Mein definitely tops the list. Growing up in an Asian family, we rarely ever got Chinese-takeout. 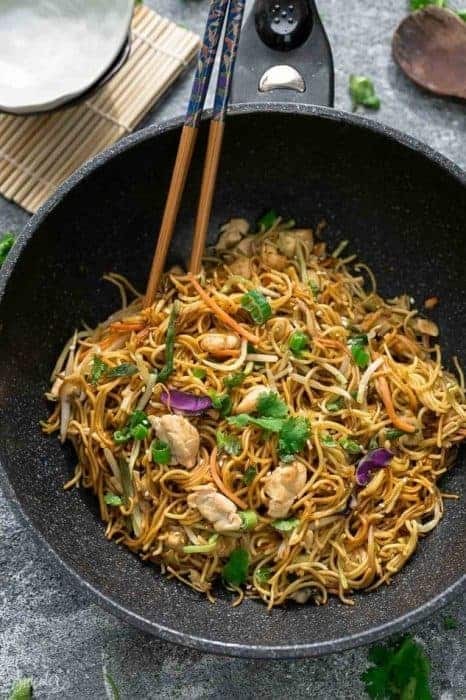 Both of my parents were foodies and loved to cook so stir-fried noodle and rice dishes like lo mein, beef chow fun, fried rice, pad thai and chow mein were a regular thing. 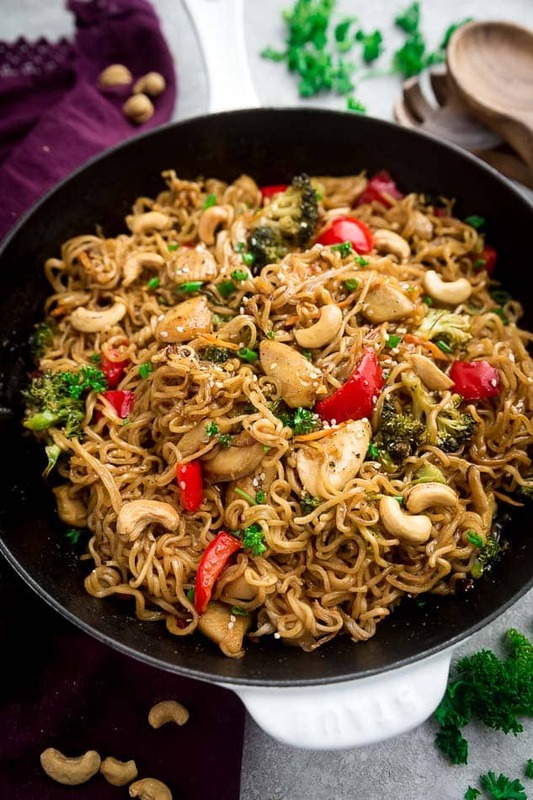 Chow Mein is a classic Chinese dish made with yellow fried noodles, meat or seafood and vegetables. It’s also one of the most popular and most ordered dish from most North American Chinese restaurants. 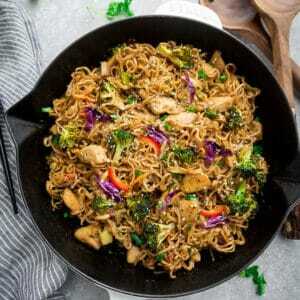 What I love about this easy Chow Mein recipe is that it comes together in under 30 minutes. Everything cooks in just one pan and is simple to customize. The great thing about making your own Chinese restaurant-quality dishes at home? They are usually a lot healthier, quicker and you can easily switch out the ingredients that you like or have in your pantry or fridge. Most people get intimated when it comes to making Chinese takeout dishes at home but it’s really not as hard as you think. 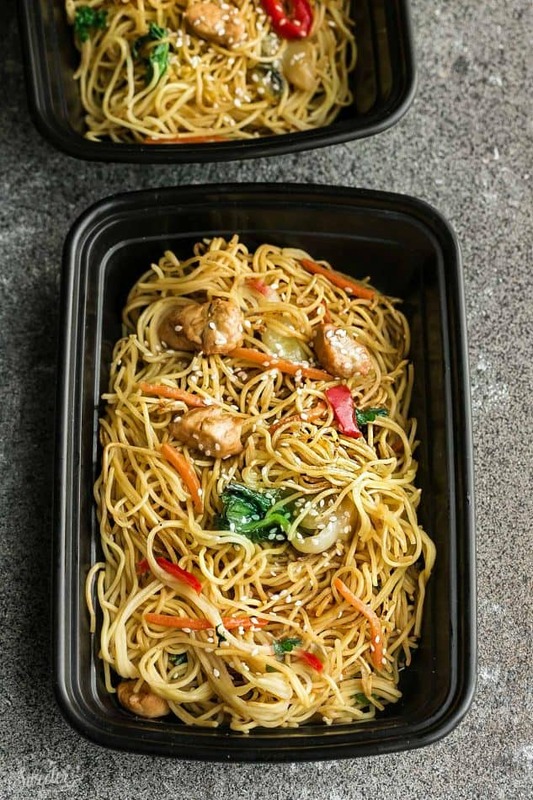 The best part about making chow mein at home is that it will taste even better than-takeout! Plus, it’s so much easier than having to call and wait or stand in line at the local takeout joint. WHAT TYPE OF NOODLES DO I USE FOR THE BEST CHOW MEIN? 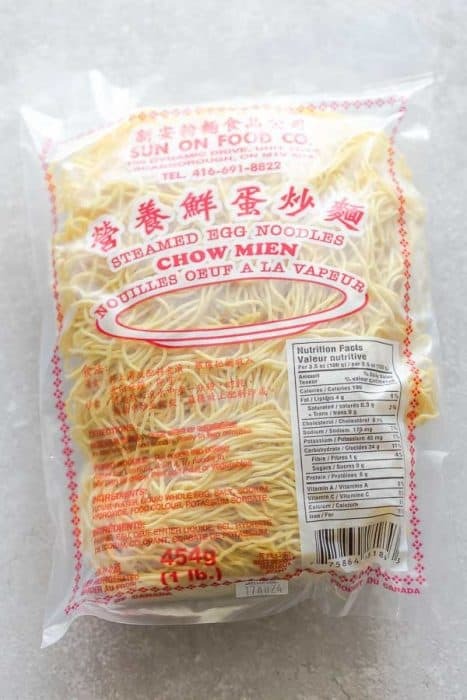 IS THERE A DIFFERENCE WITH FRESH AND DRIED EGG NOODLES? 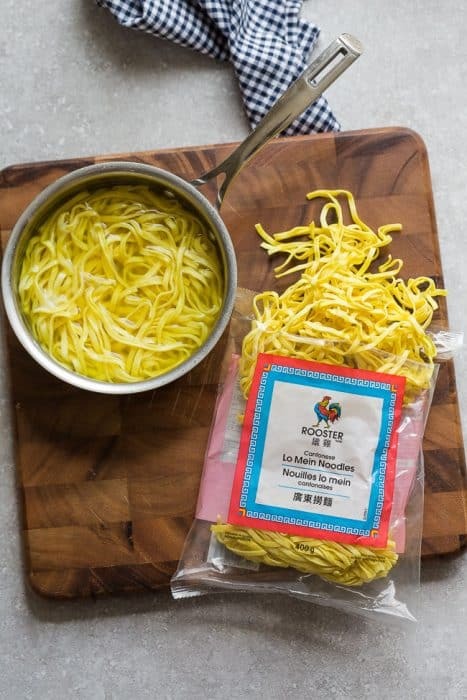 Fresh noodles are usually found in your local Asian market or some large grocery stores carry it in the International / Ethnic section or refrigerated section. WHAT IS CHOW MEIN SAUCE MADE OF? MAKE THE SAUCE: Whisk together all the ingredients for the sauce. Measure out 1/2 tablespoon and drizzle over protein in a separate bowl and allow to marinate. 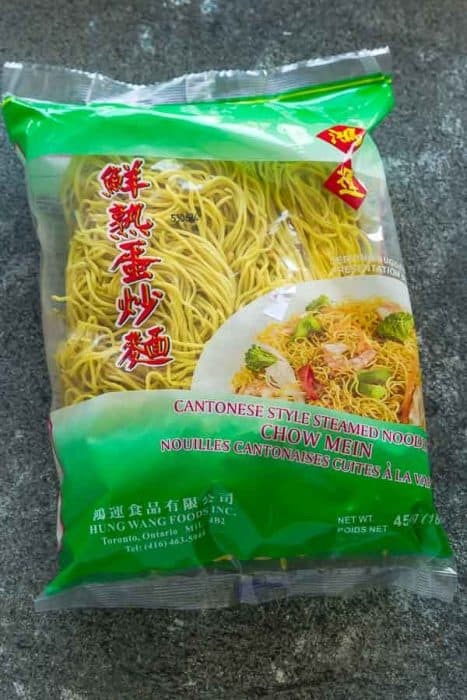 HOW TO COOK CHOW MEIN NOODLES: Prepare noodles according to package instructions and set aside. 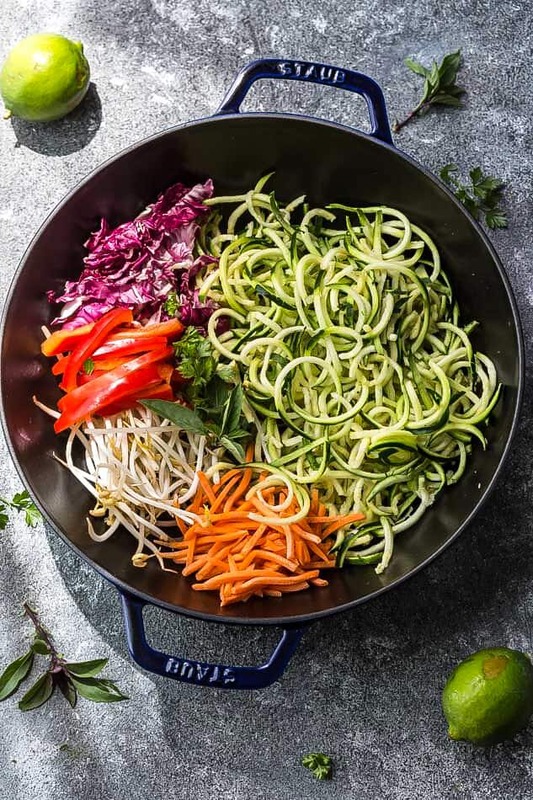 COOK THE PROTEIN AND VEGETABLES: Heat oil in a non-stick pan or wok over medium-high heat. Add protein and stir-fry almost cooked through. Add garlic and ginger and sauté for another minute. Add cabbage and carrots and cook for 1-2 minutes or until wilted but still slightly crispy. ADD THE NOODLES: Stir in the noodles and give the reserved sauce a quick stir then pour over noodles. Use tongs to toss noodles to coat with sauce. Season with more salt, pepper or Sriracha and add more water to thin out the sauce, as needed. WHAT’S THE DIFFERENCE WITH CHOW MEIN AND LO MEIN? Both chow mein and lo mein are stir-fried noodle dishes. The main difference is the type of noodles. Lo Mein typically is made with wider yellow noodles. CAN I MAKE CHOW MEIN AHEAD OF TIME? Yes! 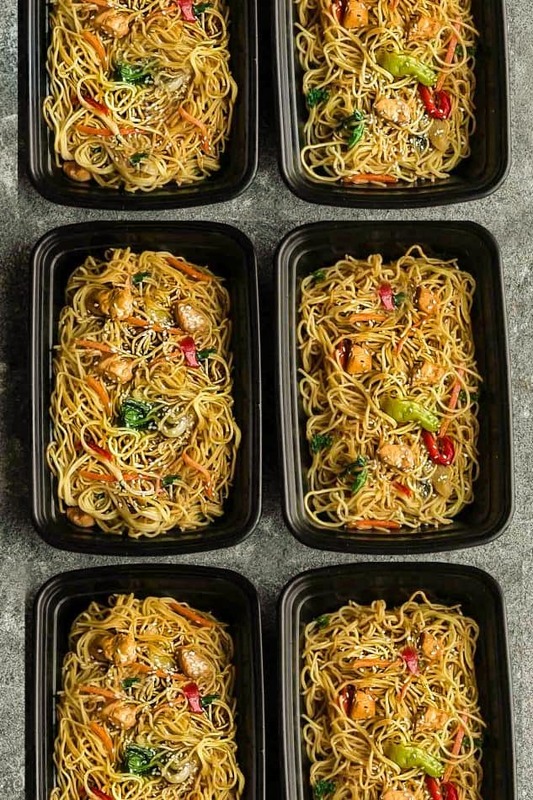 Chow Mein makes delicious leftovers and works great on your Sunday meal prep day. Heat oil in a non-stick pan or wok over medium-high heat. Add chicken and stir-fry for 4-5 minutes or until lightly brown. Add garlic and ginger and sauté for about 1 minute. Add cabbage and carrots and cook for 1-2 minutes or until wilted but still slightly crispy. Add the noodles into the pan; give the reserved sauce a quick stir then pour over noodles. Use tongs to toss noodles to coat with sauce. Season with more salt, pepper or Sriracha and add more water to thin out the sauce, as needed. For meal prep - divide into even portions in containers and store in the fridge for up to 4 days. Reheat any leftovers in the microwave or on the stovetop.